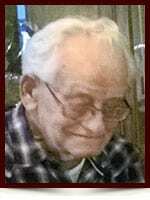 Heinz (Henry) Stallknecht - Edmonton's Burial & Cremation Professionals | Trinity Funeral Home Ltd.
A loving husband, father, grandfather and great-grandfather. The son of Wilhelm and Eva. Henry was pre-deceased by his first son, Larry, his father, mother, brother Helmut Paul and great-grandson Henrich. He leaves behind brothers Kurt (Eleanor), Garry (Ilse), his sister, Rose and sister-in-law Lorraine. He leaves behind his loving wife, Dorothy, of 62 years, sons Randolph (Audrey), Myles (Colleen) and David (Claudette). He also leaves behind a loving grand-son, Shane (Carli) and grand-daughter Natasha, and great-grandchildren Kaidence, Avery and Emrey. He also leaves behind many cousins, nieces, nephews and close friends. Henry loved to camp, fish, ski-doo, quad and cycle. He especially enjoyed participating in the Leduc West Antique Society Tractor Show where he drove the tractors he restored. He was a heavy duty mechanic and a member of Local 955 for 49 years. He loved to invent and create, tinker and fix everyone’s mechanical problems. Dad enjoyed and loved to be surrounded by his family – his smile, laugh, gentleness and compassion will be sorely missed. We love you and hope you are comfortable on your journey into eternal rest. May your heavenly family embrace you. Dad was the strongest man that we will ever know. Dad loved you beyond words mom and he had so much love that it traveled through to his sons and to all the extended family. Everywhere Dad went he touched someone and I know this because wherever I go now everyone asks how is Henry doing. Dad would be there to help anyone who needed help but for himself not so much as he didn’t want to be a burden. I loved to go sledding with Dad – last time up at Valemount he was 79 (wow). Dad loved the outdoors and we all could go on our quads and have a great time. The same went for camping – the wood was always cut up and he would have his very own poker stick made up. I don’t think that stick ever left the fire. When Dad got together with his brothers there was so much laughter it brought light into the room. Dad saw the good in all people and he was truly one of the kindest men we will ever know. I will always love and miss you Dad – you are forever in our thoughts and prayers. I will always remember Uncle Henry’s delightful laugh. He was always fun to be around. Most importantly was what you saw was what you got with him…a very admirable trait indeed! My Dad and Uncle Henry are together now…may they rest in peace. Thinking of you all at this difficult time. Henry was known as old school, a salt of the earth person. He was so devoted to his family, to Dorothy and the boys. He had a happiness and a good heart and soul towards everyone. Henry loved to work on projects in his garage but most off all there was never a job, to big or small he could not handle. Henry enjoyed life and always found humor in some of the worst situations. He was a hard worker and always made sure his family was provided for. Henry was a wonderful man and will be greatly missed by his family and friends. Until we meet again, you’ve earned your rest Henry, rest in peace. Dad fought several major battles – battles that would have taken many lesser men – and you were with him virtually every step, as valiant and tough as he was he simply could not overcome the final war that raged within. I truly believe that Dad – even when he could no longer talk – was motioning/saying from his hospital bed: “I love you my Dear wife – and all my family.” Dad remains in our hearts – the one true repository preserved by each in his/her own way. Everyone who knew Dad is going to miss him. Audrey and I certainly do. Much of what I learned – the values I treasure – were gifts given to me by our Dad. Our love to you, Mom, to my brothers, Myles and David and their wives, Shane/Carli (and kids) and to Natashsa. Dear Family: My heart is with you all. Knowing that Uncle Henry is with Dad offers comfort and peace. I am sure these brothers are recollecting their many adventurous times together. Danger Man will never be forgotten. He will always be remembered as a fun loving man, one who loved to laugh and one who loved to tinker. I recently found a shiny red toy tractor in the attic, given to Erik when he was a boy visiting his Opa – going on their camping and wild ride fishing trips and to the Leduc Tractor shows. I think Uncle Henry might have fallen in the river on one of those trips! Goodness knows what happened on those ski-doo treks! I will keep this tractor in memory of Uncle Henry.